Walmart and Metro AG have withdrawn Nestle's Maggi noodles from their wholesale stores in India in the wake of food safety issues pertaining to the brand. The move follows country-wide probe against the ‘two-minute’ instant food brand for alleged presence of lead and taste enhancer monosodium glutamate (MSG) beyond permissible limits. Walmart and Metro AG have withdrawn Nestle’s Maggi noodles from their wholesale stores in India in the wake of food safety issues pertaining to the brand. “Given our utmost focus on ‘food safety’ and ongoing concerns around this product, we have withdrawn the Maggi 2-minute noodles from our shelves across all 20 Best Price Modern Wholesale stores till further clarity from FSSAI and State Food safety authorities,” Walmart Spokesperson said. Germany-headquartered Metro AG has also discontinued Maggi sales in its 18 cash and carry stores across the country. Comments from Nestle India could not be obtained as email query to the company spokesperson remained unanswered. The move comes a day after retail chains led by Future Group and consumer cooperative society Kendriya Bhandar stopped selling Maggi noodles across their stores. “In the interest of consumer sentiment and concerns, we have taken Maggi noodles off the shelves from all our stores for the time being. We will wait for more clarity from authorities to take any further course of action,” a Future Group spokesperson said. Modern retail outlets like Big Bazaar run by the Future Group contribute a large chunk of sales for FMCG firms, including Nestle. The Future Group has 570 stores in 243 cities across different formats under brands such as Big Bazaar, Easy day, KB’s and Nilgiris. Likewise, consumer cooperative society Kendriya Bhandar also withdrew Maggi noodles from its 130 stores in and outside Delhi. While Reliance Retail did not comment, sources said the company will have to follow order, at least in Delhi where the state government has banned the instant noodles. 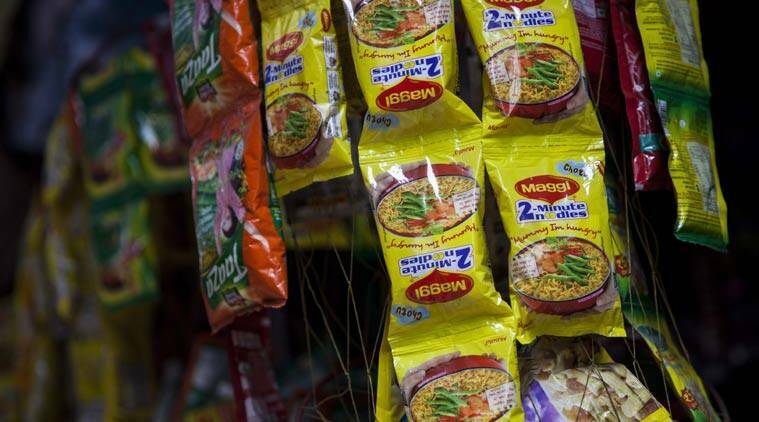 “Moreover, the company will follow what competition is doing as fast as the Maggi issue is concerned and may not sell Maggi in other states as well till the controversy is over,” a source said. Nestle’s Maggi noodle has been at the centre of a raging storm after UP FDA tests found higher than stipulated levels of lead and MSG in it.